One of my favorite picture books is The Watermelon Seed by Greg Pizzoli. 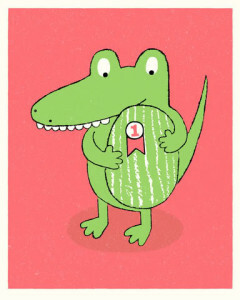 Why do I love it more than a crocodile loves watermelon? Let me count the ways. The main character is active, relatable, and flawed. I care about this toothy crocodile! The cover alone makes me want to be friends with him. This is a wonderful example of a well-executed, first person, present tense book. The palette is fresh and completely watermelon-y. Aside from white, the only colors used are pink, green, and black. The “crisis” is something nearly every kid has faced at one time or another. The end papers look like yummy, seed-speckled watermelon. What is more, the very edges of the book resemble a watermelon rind. Genius! The actual book cover is an unexpected surprise beneath the jacket. This book makes me want to be a better writer. 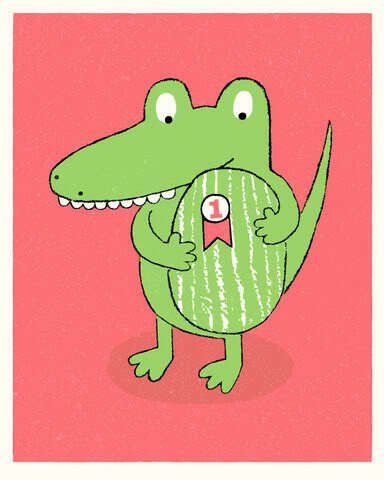 Greg Pizzoli, Tammi Sauer, The Watermelon Seed. Bookmark. Thanks for reminding me about this book. I agree with everything you said. 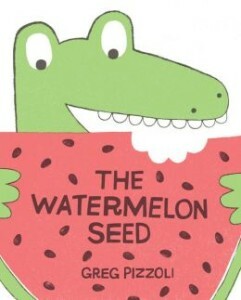 I was first drawn to this book because of the simplicity of colors and who doesn’t like watermelon! This looks DARLING! Requesting it from my library. Looks like a FABULOUS mentor text! What a sweet book! I love books that make me want to be a better artist, too. Thanks for sharing it! I love when I get inspired by reading other people’s work. I am crazy about this book — it’s great to use with kids as an early reader, too. Only 141 well chosen words! Hi, Tammi! Thanks for sharing The Watermelon Seed. I need mentor texts with characters that emotionally connect with readers. Those are the reasons I love this book and I am pretty sure these are the same reasons my 3 and 4 year olds are big fans as well! And yes, this book does make me want to be a better writer as well 🙂 Great post! 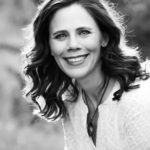 Hi Tammi, thanks for your article. I loved how you broke down all the reasons why this is a great read. Just requested it from my library! what i also love about this book is the journey he went through to write it. in his profile on p. 184 of the 2105 children’s writer and illus. market, he said his first draft was approx. 2,500 words. the final was 140! that to me is so inspirational. thanks for sharing, tammi.